A driver has life-threatening injuries after being shot near 91st Avenue and Campbell. 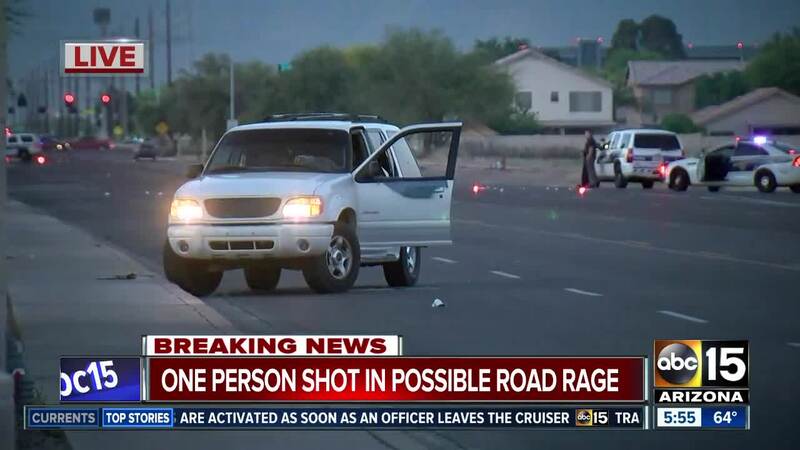 PHOENIX — Police are investigating after a man was shot in west Phoenix early Monday morning. The shooting happened near 91st Avenue and Campbell around 3:40 a.m.
Police say a 33-year-old man was driving northbound on 91st Avenue when someone from another car fired shots at his vehicle. The driver was hit by the gunfire, suffering life-threatening injuries, according to police. It's unclear at this time what led to the shots being fired. Authorities say there is no vehicle description and no suspect description at this time. Phoenix police are asking anyone with information to contact the Phoenix Police Department Violent Crimes Bureau at (602) 262-6141 or if individuals with information would like to remain anonymous, they can contact Silent Witness at 480-WITNESS or 480-TESTIGO for Spanish.